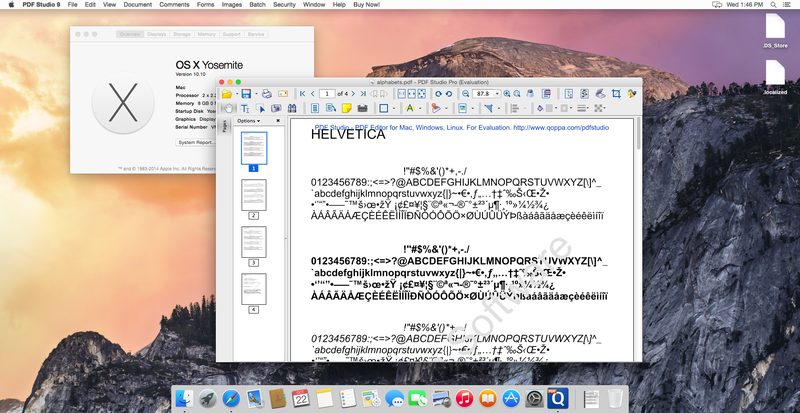 Q: Does PDF Studio work on Mac OS X Yosemite? A: Yes, PDF Studio is fully compatible with Mac OS X 10.10 Yosemite, which was officially released in October 2014. We have tested PDF Studio on Mac OS X 10.10 Yosemite and were able to confirm that our PDF editing software works properly on the new OS.